This is Boo's garden. 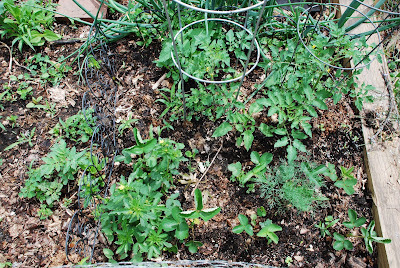 Can you spot the onions, tomatoes, strawberries, dill, and parsley (trick question -- it's very small). It's all growing very well, I think. Have I mentioned that we have roughly 1000 dill plants this year? Anyone want any dill? Luckily, Marvin* is on the case! I expect him to go through a plant or two before he shuffles off to another phase of his life. 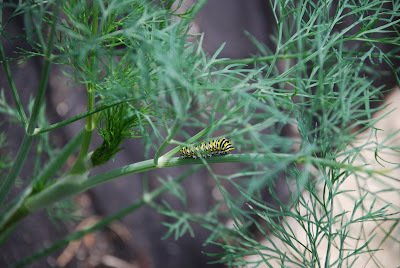 *Yes, that's right -- Marvin is a monarch-butterfly-to-be.